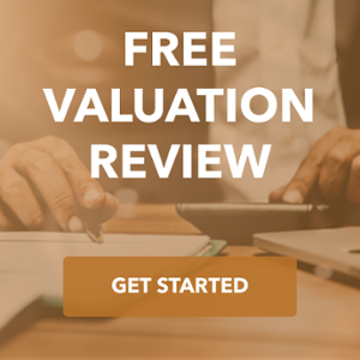 WE HAVE A LIBRARY OF RESOURCES TO HELP BRING VALUE TO OUR CLIENTS! Click on an eBook to start your Middle Market education! When Do I Give an Interested Buyer My Financials? You might be tempted to send a potential buyer your financials to start the process off. Don't do it. Check out this post, Please Don't Send Anyone Your Financials, for more information. 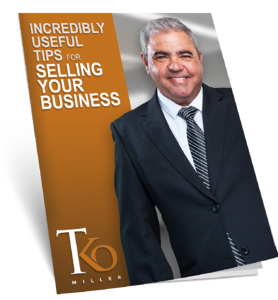 There are so many factors that go into selling a business. It can take anywhere from months to years depending on if your company is ready, motivation of buyer(s), and how you handle the process. An experienced investment banking firm can help you maximize the valuation of your sale and make sure you are considering all of the important factors and risks. As a general definition, a private equity firm is an entity that raises capital from outside investors (called limited partners) to invest in privately-held businesses with the aim of earning a return that exceeds what would typically be achievable in the public markets. A private equity firm’s investing activities are governed by a team of investment professionals (called general partners), who typically have authority to make independent investment decisions within the parameters of an agreed-upon investment thesis. The investment thesis often governs the size and type of company the firm invests in, the structure of the transaction, and whether the firm will take a minority or majority position. The term private equity can describe a wide range of entities, from venture capital funds focused on investing in early-stage, high-growth companies, all the way up to mega-funds like KKR and Blackstone that undertake multi-billion dollar transactions. Somewhere between these lie the middle market private equity funds. These funds typically invest in healthy, established businesses with valuations anywhere between $10 million and $1 billion, a range that captures many successful family-and-founder-held businesses. Middle market private equity firms acquire companies with an eventual exit in mind and usually hold a business for five to seven years (occasionally longer). That’s us. The investment banker represents the seller through all steps of a transaction (and believe me, there can be a lot more steps in a transaction than you may think). Investment bankers are merger and acquisition experts, and having one on your side helps to level the playing field with buyers, who are often more experienced in M&A than sellers. The investment banker’s primary objective is to complete a transaction that best meets a seller’s objectives, but along the way we wear many hats. Investment bankers are responsible for identifying buyers and building relationships with them, creating detailed marketing materials for the business, facilitating information exchange and communication between the seller and potential buyers, soliciting offers and negotiating price and terms, acting as a liaison between all parties in the transaction, and providing advice and counsel for the seller throughout the entire process. The investment banker is often seen as a seller’s closest ally in a transaction. Strategic buyers are potential buyers that are in a business similar to yours. They can also be in a business unrelated to yours, but looking to get into your markets or want your intellectual property. They make good buyers because they can often bring synergies or integration opportunities to the table. They don't need two CFOs, for instance, or two HR people, or maybe even a location can be reduced. The goal of the strategic buyer is to look for products or services that can quickly be absorbed into their own operation, which in turn increases the profitability of the target company. Because of the synergies strategic buyers can provide, they sometimes bring in the highest valuations. Financial buyers are also known as private equity groups, or PE buyers. These groups of investment professionals invest money or buy businesses, but often do not have any operational expertise in that business. Their job is to identify businesses with attractive future growth potential and earn a return on their investments. Because they often finance the purchase of companies with debt, they pay a great deal of attention to the business's ability to generate cash flow. Financial buyers will evaluate the strength of the management team because they are not bringing operational talent to the table. Financial buyers can generally move more quickly during a transaction than strategic buyers because executing transactions is their specialty. Unlike strategic buyers, they generally do not have cumbersome legal departments, Board of Directors, and layers of management approval necessary to complete a deal. Financial buyers also have a "hold period" in mind for the companies that they purchase. In general, they resell their assets in 5 to 7 years. Why Has This Private Equity Group Called/Written Me with an Interest in Buying My Business? Make sure that a proper confidentiality agreement is in place before any information is exchanged. Even if this is the most convincing letter or call you have ever received, even if you know the person who is making the offer, please take the time to call an investment banker before you answer them. How Should I Respond if Someone Approaches Me About Buying My Business? If you are not in a mind frame to sell your business, the best response is to take their information and promise to contact them if you decide to sell. If you are thinking about selling your business, take the caller’s name and contact information so that you can reach them when you are ready. Do NOT answer any questions about your business. Not even seemingly innocuous ones. Do NOT send them any information. If they can’t find it online, they don’t need it right now. Do NOT have lunch with them or invite them over for a plant tour. DO call an investment banker. Tell them that someone has approached you about a sale and you are considering it. 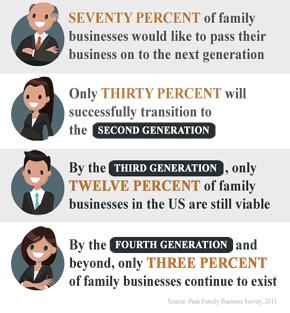 Should I Sell My Company or Pass It on to My Child(ren)? Your children might be wonderful, smart, and natural business people, but we see it all too often when they are handed the reigns to a great business and they run it right into the ground. In fact, the very thing that makes the business owner great at running his or her business (passion, drive, fear) is the thing that the children are missing. Sometimes, they are missing this because they have had a life of relative privilege, as a result of the business being successful! This is one of the most difficult conversations to have with a business owner. If you think that you cannot be unbiased when making this decision, ask a Board member or trusted advisor. How Do Investment Bankers Get Paid? 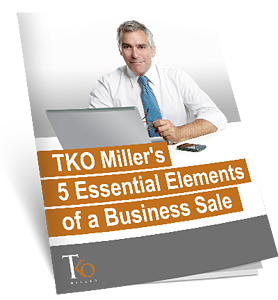 TKO Miller, like most investment banks, receives a retainer payment at the beginning of an assignment that partially offsets our expenses. However, the bulk of our compensation comes in the form of a success fee that is paid when a transaction closes. This structure is designed to ensure performance: If a deal does not close, we do not get paid! Check out this post for more: How Do Investment Bank Get Paid?